If you are regularly hitting slices, pulls or both, you’ll need to address the problem. Trying to play through it will limit your scoring ability and make the problem harder to resolve in the long run. Please come into the pro shop to book a lesson and I’m sure I’ll be able to help you find the root cause and offer some advice on how to fix it. the meantime, here is a good drill that you might find useful. Take two headcovers and create a corridor as shown here. 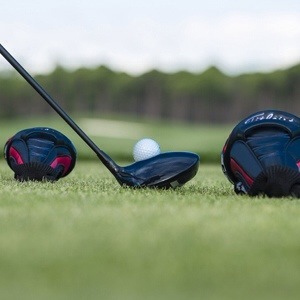 The only way for the club to miss the headcovers is for you to swing on a more neutral, in-to-out path. Having this clear reference in front of you is a good way to visualise what a good path should be. This entry was posted in fitness, golf, golf instruction, golf tips, sports and tagged fade, golf instruction, golf tips, PGA, slice. Bookmark the permalink.